Infrastructure : Moksha Thermoplastics Pvt. Ltd.
Latest Generation State of the Art Injection Moulding Machines With computerized feedback control and sophisticated Ancillary equipments Testing Facilities. Designing and In house Fully equipped Mould manufacturing facilities and CAE. 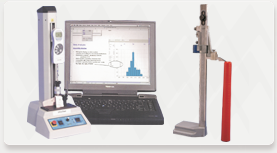 Have all Dimensional, Manufacturing, Taper & Concentricity checking equipment.